Banasura Sagar Dam nestled between the hill ranges of Banasura (part of Western Ghats), is built across the tributary of Kabini River in Wayanad. It is the largest earth dam in India and second largest in Asia. The small island formations in the dam reservoir covered in thick green foliage with the hill ranges in the background makes it truly breathtaking! 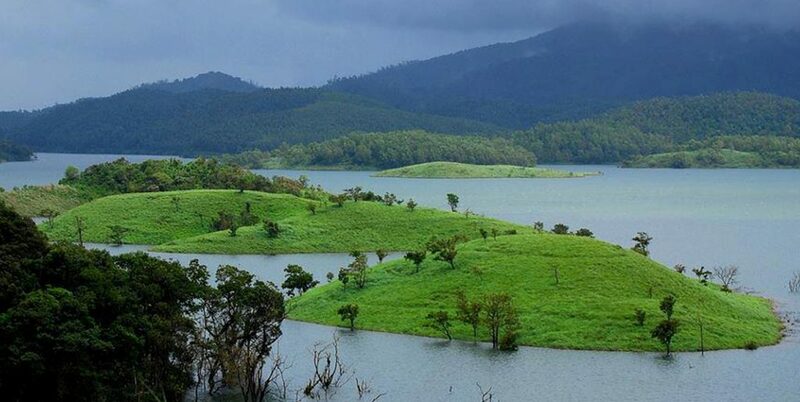 It is around 21 km from Kalpetta, nearest town in Wayanad district, Kerala. Boating facility is available there and there is also a nature park to refresh yourself.